Macaroni Pudding. 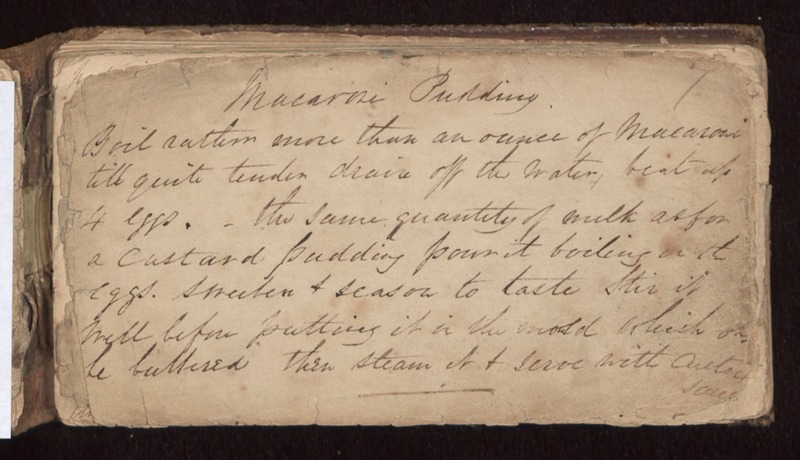 Boil rather more than an ounce of Macaroni till quite tender drain off the water, beat up 4 eggs. the same quantity of milk as for a custard pudding pour it boiling on the eggs. Sweeten & season to taste Stir it well before putting it in the mould which [illegible] be buttered then steam it & serve with custard sauce.